This book takes the unique and innovative approach of linking relationship marketing to the traditional market planning models that are used by most marketers today. As globalisation progresses, the need for creating and maintaining off-line and on-line relationships with the company’s customers, suppliers, stakeholders and personnel has become increasingly vital in today’s business environment. Now in its fourth edition, this best-selling text bridges the gap between relationship marketing and traditional marketing, integrating this approach with the process of developing effective marketing plans by the use of the newest technology. Drawing on a varied and extensive range of international examples, Hollensen demonstrates how companies such as Electrolux, Tinder (Match.com), DJI Technology, Huawei and Spotify make use of relationship marketing theory in order to gain competitive advantage. 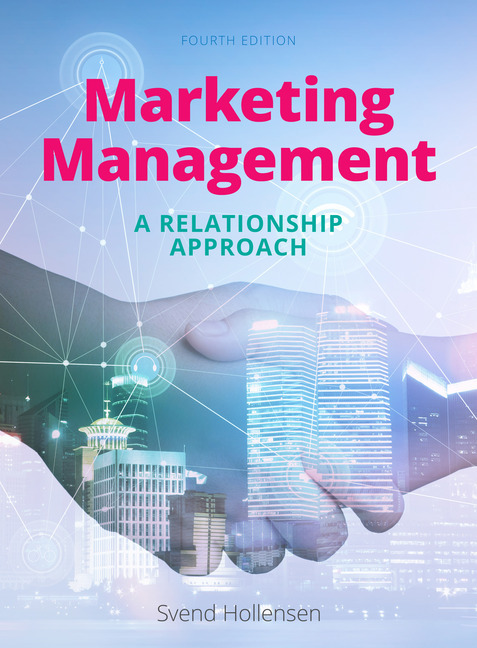 Marketing Management: A Relationship Approach is invaluable reading for undergraduates studying marketing management in their final year or at postgraduate level and for practitioners and those studying for professional qualifications in marketing management. Svend Hollensen is Associate Professor of International Marketing at the University of Southern Denmark and has worked as a marketing consultant for several international companies and organisations. His other Pearson books include – among others – Global Marketing, Seventh Edition, published in 2017.